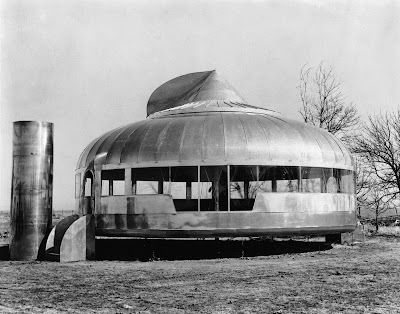 While researching the Quonset hut, I stumbled across a reference to the Dymaxion House, which another group is doing a case study of. The Dymaxion House, designed in 1927 by Richard Buckminster Fuller, is hexagonal –shaped metal structure suspended from a central mast that housed all the equipment for kitchen, laundry and servicing. It is designed to be adaptable to any site or environment, and was to be mass produced for the low cost of $1 200/unit. 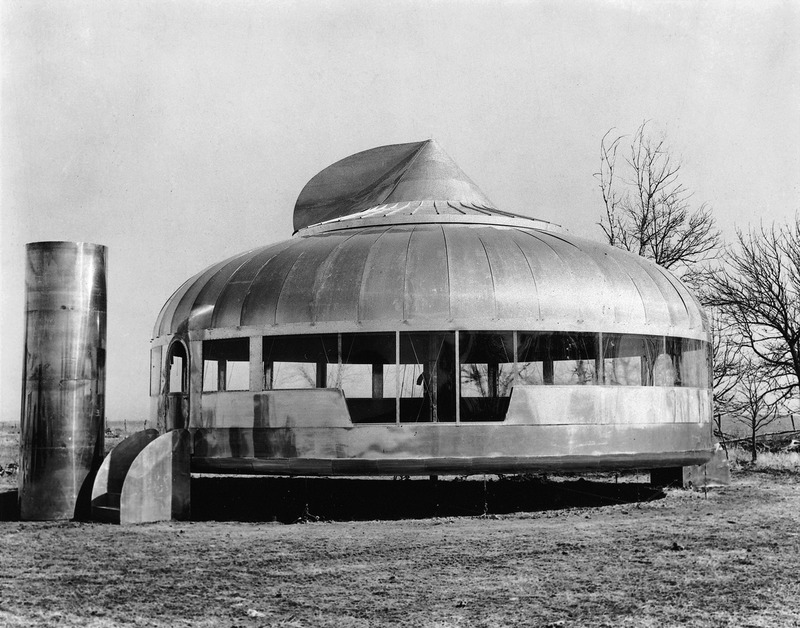 Later in 1942, Buckminster Fuller collaborated with Emmanuel Norquist of Butler Manufacturing Company, the largest general metal sheet fabricator experienced with the use of corrugated metal sheets in the U.S, to design the Dymaxion Deployment Unit (DDU) to provide wartime housing during WWII. “Corrugated metal structure”, “mass-produced”, “wartime housing during WWII”, sound familiar? Unfortunately, the DDU did not gain the same popularity as the Quonset Huts despite three plants planned to produce 1000 units per day. Only a few hundred units were built to house Signal Corps and for operating rooms in the U.S Army before steel shortage ensued which resulted in the eventual cancellation of DDU production. However, “Fuller’s ideas challenged the concept of a frame structure by articulating an option in which the shape of the building and the use of standardized curved corrugated metal sheets created an envelope that also served as the structure” which can be reflected by the design of the Quonset Hut.